Towel is made of soft plump ultra-sft microfiber, super absorbentmillions of textured woven together, like a giant sponge, soak up to 20X more water and mud than other cotton towels. Perfect for mopping up a wet or snowy dog. Ultra Absorbent,it can be used over and over again without ever getting the dreaded ""wet dog"" smell,remains bacteria and odor free.machine washable,do not use bleach or rollers or iron and softeners. After using our towel,hang it and it will dry quickly. There is two very convenient dual hand pockets with elastic bands, you can hold your palms with more easy to dry the face and ears, around the belly, and other hard-to-reach areas of a wriggly pet,perfectly attached to any pet body part,Water absorption faster. This towel can be stored in your car for on the go trips for your pet or at home. Provides comfort for your pet and protection for your couch, carpet, car, bed, floor, or chair.Can also be used as a non-slip mat, Perfect for rainy days, bath days and beach days too. 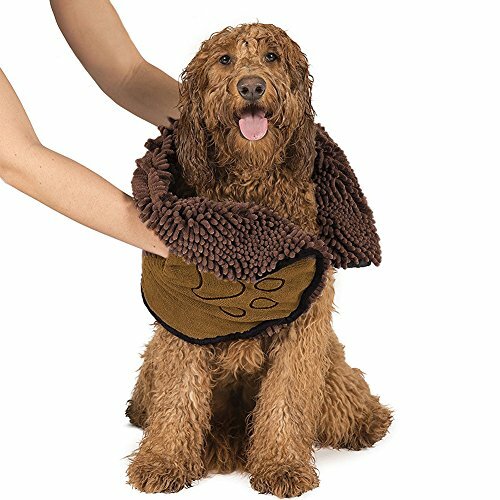 Plus the odor and bacteria-resistant towel is skin and fur-friendly,suitable for cats and dogs in different breeds and sizes,Keep your pet dry quickly. If you have any questions about this product by voguetu, contact us by completing and submitting the form below. If you are looking for a specif part number, please include it with your message.